With the women’s race done & just one day to go until the lads get their shot on the international stage at the Youth Olympic Games in Nanjing, we get to know the USA’s Seth Rider. 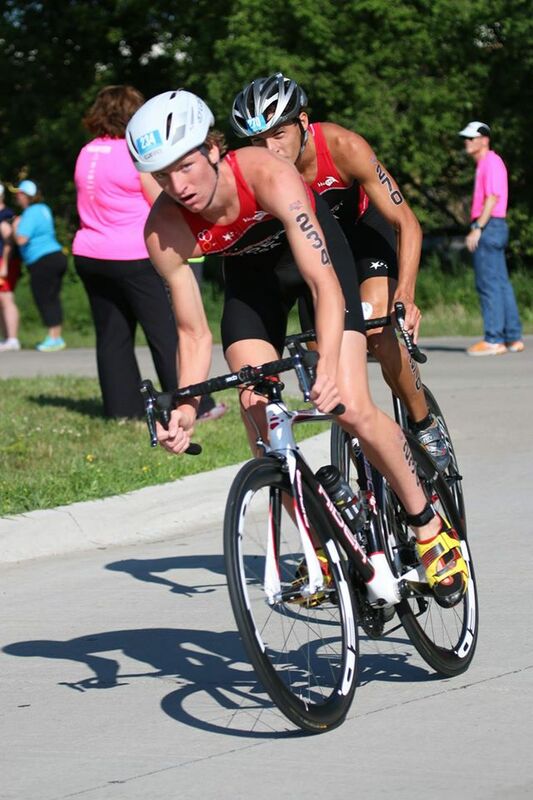 Having gotten started in the sport by following his dad around to triathlons, Rider is ready to conquer China. What are your expectations of Nanjing and China generally? I’m not completely sure what to expect, I have seen pictures of the Youth Olympic Village and the triathlon venue and I am really looking forward to seeing those. I expect the travel to be very long but I’m arriving six days before the race so I will have plenty of time to adjust. I’m really excited to experience a new culture because I have only left the country one other time. How did you qualify for YOG? I won the PATCO Youth Olympic Games Qualifier in Monterrey Mexico on May 2nd. How did you get started in triathlon/how long have you been competing? My dad and older brothers did triathlons since I was a very young kid, so when I finally got old enough to start competing I was hooked. I started when I was six years old and have been doing triathlons ever since. What other sports would you like to see at YOG? I would really like to see some of the cycling events and then also the distance events for track and field. Seeing some other sports I have never watched before like table tennis would be cool too. How big is triathlon in your life right now? Put it into perspective for us. I try to balance everything —Triathlon (sports), school (I still have to have good grades) and my other personal obligations like family time. I’m lucky that my sisters also are in to triathlon therefore we can mix family bonding with training sessions. What else do you do outside of triathlon? Triathlon is a huge focus in my life right now, it takes a lot of time to prepare to compete at a high level as a junior. I focus on my training a lot but it never feels like a job I have to do. I always enjoy being out there getting the work done. Triathlon takes up a huge part of my life but when I am not training I like to do anything that involves being outside or just relaxing and watching Netflix. Are you on Facebook, twitter and Instagram? If so, what is your social media handle? Yes, I am on facebook under my name Seth Rider, instagram is @rethsider, and twitter is @sethr24 . You can keep up with all my racing by following those accounts! If you weren’t a triathlete preparing to race at the YOG, what would you be doing? I used to play lacrosse until I had to stop because I was getting more serious about triathlons, so I would probably be playing lacrosse if I wasn’t a triathlete. What have you been up to since your selection? I have had a busy summer with races all over the place. I earned my spot to YOG in May and then in June I earned my spot to ITU Junior World Championships in Edmonton, Canada. I have had a really good summer of training and feel like I am in very good form leading up to these two big races. What are your favorite subjects at school and why? I really like history and geography because they are things you will use more often in real life situations. What about the worst, what would you rather not have to go to? I really don’t like math and would definitely be okay if I didn’t have to do any math.